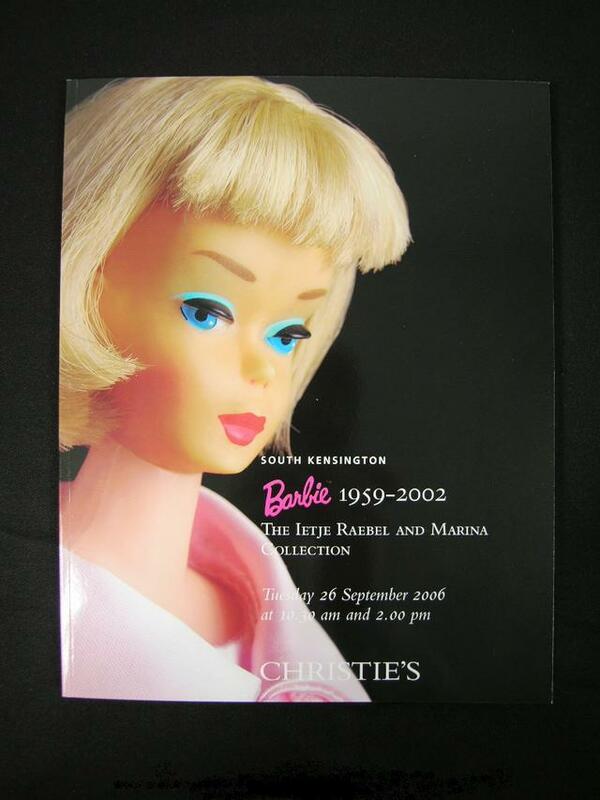 I happened to find this great image of Christie's Barbie sale, while searching the internet. It brought back fond memories. The auction which I catalogued was one of the largest ever to come to auction. Christie's went to town and had one wall covered in `Barbie Pink' cloth to set off the collection. Here is an amazing line up, with Barbie No.1, 2 and 3 in her zebra stripped swim suit. The three on the top left of the shelf are also very rare, they are `high-colour' Barbie's made for the Japanese market. I have copies of the catalogue, which I regularly sell on eBay, so keep an eye out for it. It is well worth getting, it is fully illustrated in colour and prices can be obtained from Christie's.